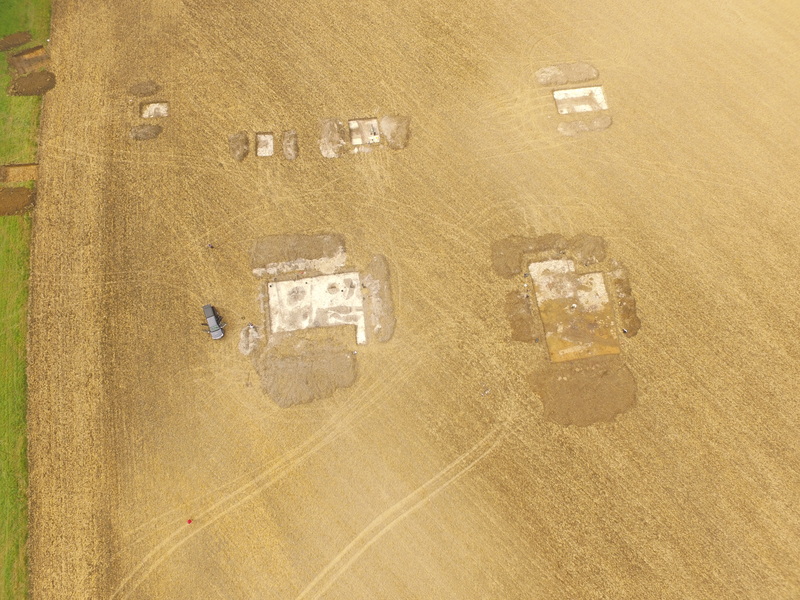 Aerial shot of the site courtesy of Richard Miller – after a little bit of rain, the areas of interest show up clearly against the chalk. We have a lot more digging to do!! Just in case you are wondering where have all the diggers gone….they have downed tools for lunch.